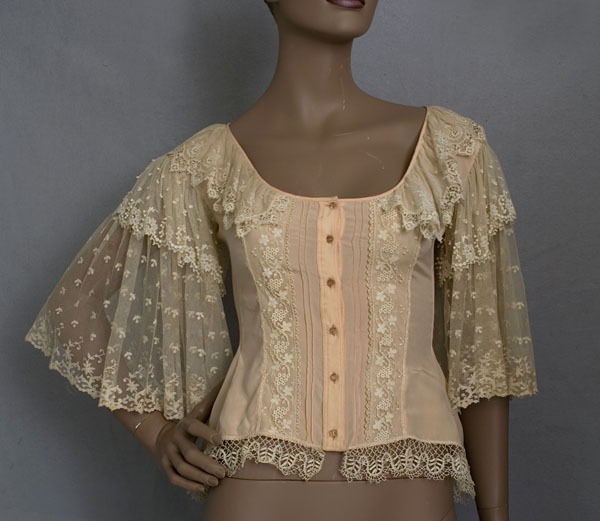 Made in the Edwardian style with period lace and new silk, this charming vintage blouse has the romantic allure of an antique in a garment sturdy enough to wear. The princess line seams give the blouse a figure flattering shape. It is 4" longer in back. 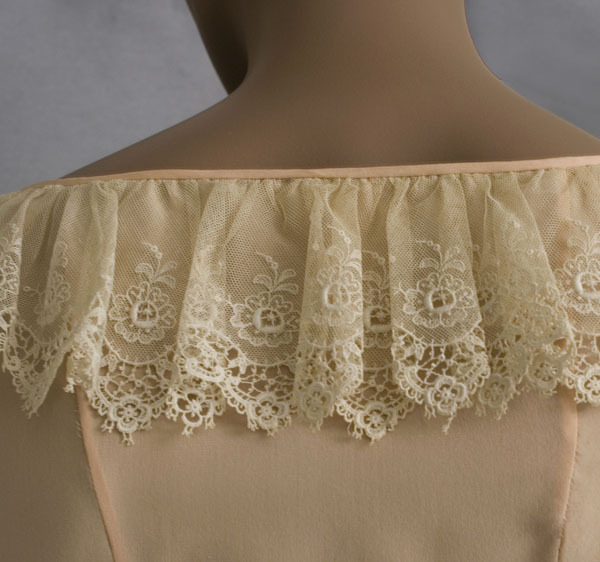 Finely fashioned from peach colored silk crepe de chine with French seams and rows of pin tucks, the blouse closes in front with small clear buttons. 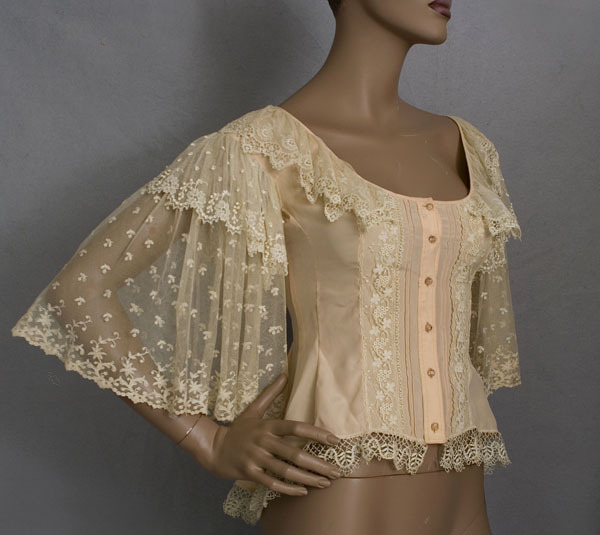 The wide angel-sleeves, ruffled collar, and front panels are made from machine made ecru cotton lace. 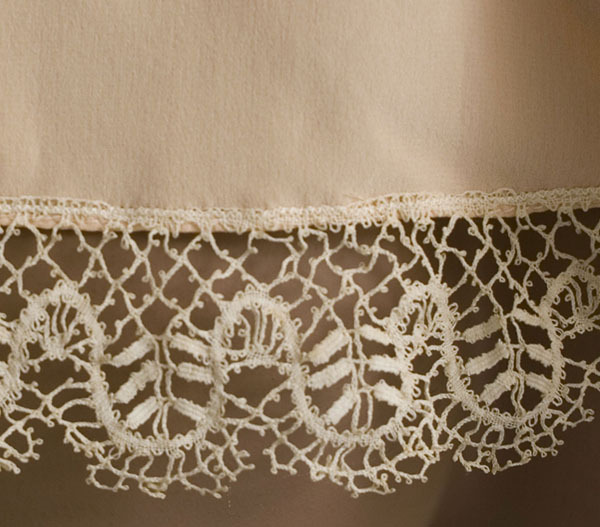 The hem border is of expensive handmade Cluny lace, a Victorian handmade bobbin lace. 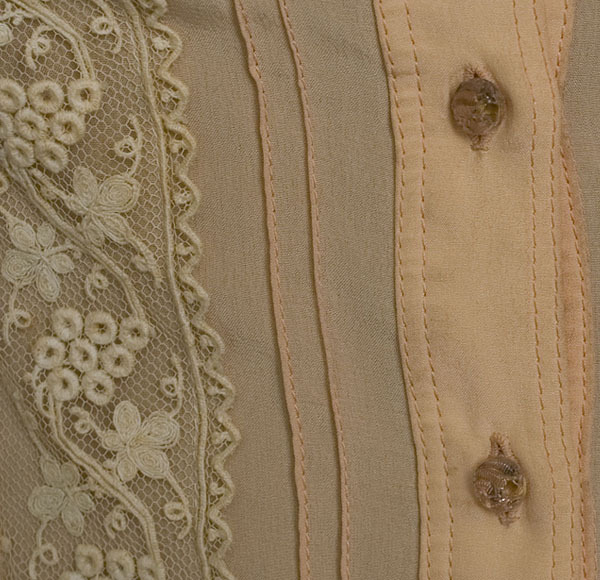 This fine lace is worked in linen thread and has braided bars and small petal-shaped wheat ears. 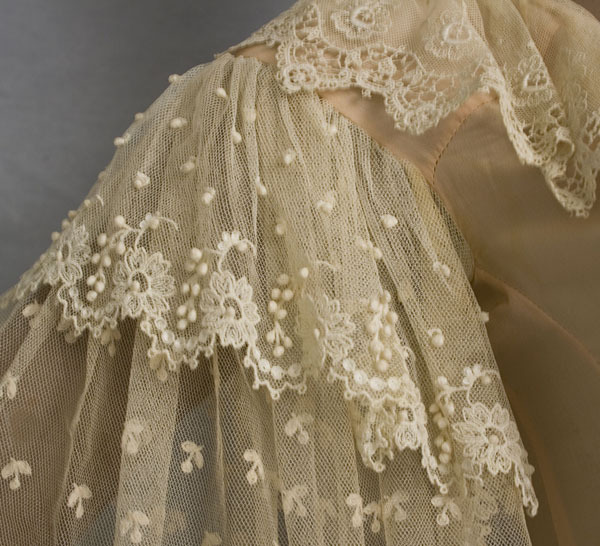 Cluny refers to the Cluny Museum in Paris, where a collection of 16th century Genoese bobbin laces was exhibited in the 19th century. 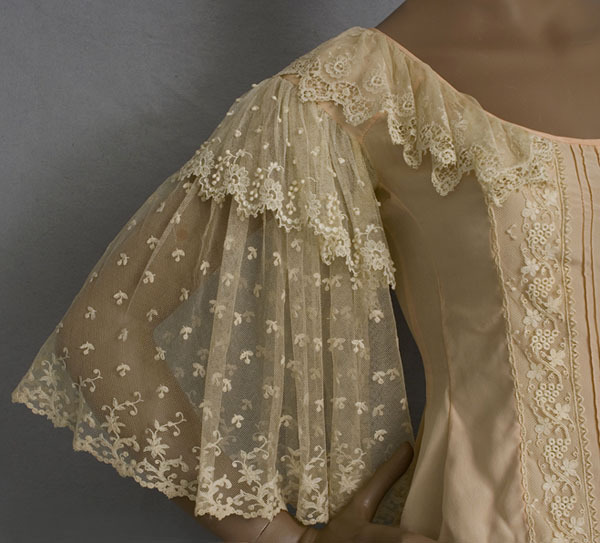 They inspired French lace makers to imitate the patterns and create a "new" continuous lace. 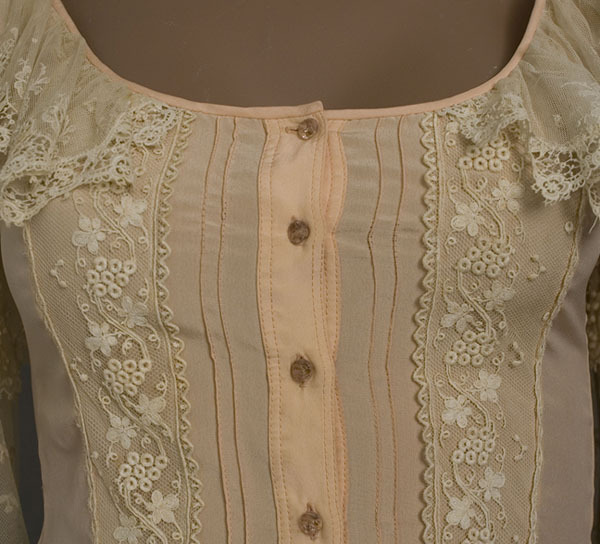 The original owner wore the blouse with Victorian earrings and high boots. What a versatile piece! It will work equally well with jeans or a dressy skirt. The condition is excellent. It is clean and ready to wear. It measures: 36" bust, 27" waist, 40" hip, 14" sleeve length, and 20" from shoulder to front hem.